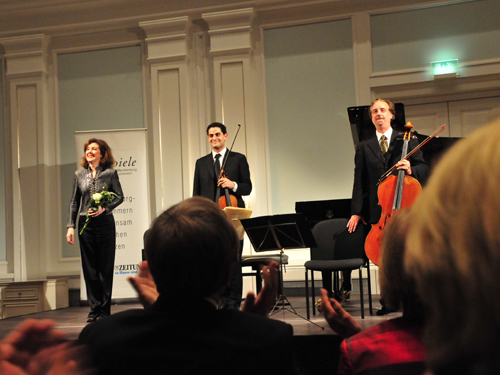 In another of the Chamber Music Society’s recent overseas ventures, pianist Anne-Marie McDermott and violinist Arnaud Sussmann joined David, Wu Han, and musicians from Europe and Great Britain for appearances at the Mecklenburg Festival, one of the continent’s largest and most widespread. With the Festival’s new Artistic Partner, violinist Daniel Hope, contributing his creativity and charismatic presence, the Mecklenburg Festival, now closing its 20th season, sees a bright future in which CMS is thrilled to play a role. Having never played at the Mecklenburg Festival, but also having heard wonderful things about it, we were excited and curious to learn everything we could about another great festival, to see a different (for us) part of Germany, to make new friends on stage and off. Arriving separately from Denmark and Austria, Wu Han and I reunited at the Grand Hotel Heiligendamm, the site of Germany’s first seaside resort, on the Baltic Sea. The region of Mecklenburg, part of the German state of Mecklenburg-Vorpommern, lies in the north eastern part of Germany, bordering Poland. Once part of the Holy Roman Empire and Hanseatic League, and with the powerful and strategic city of Rostock on the coast, the flat, sparsely populated region is rich in natural parks, and is, as it was already in the 19th century, a prime tourist destination. 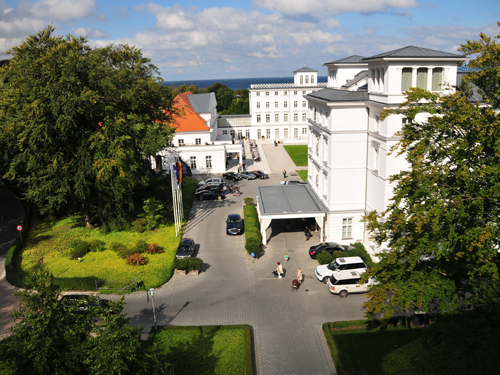 Heiligendamm, a settlement on the coast, became Germany’s first seaside resort in 1793, when the Grand Emperor of Mecklenburg Friedrich Franz I, on the recommendation of his doctor, took a dip in the ocean for his health and pronounced it successful. 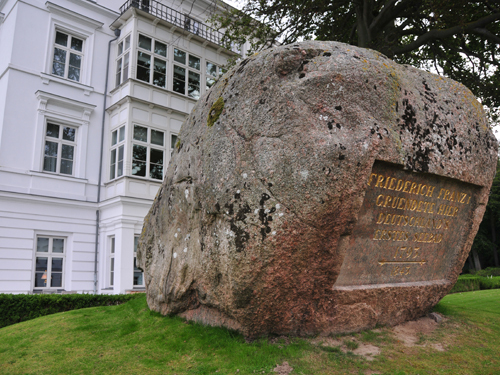 A gigantic boulder positioned prominently between the hotel and the sea commemorates the event. 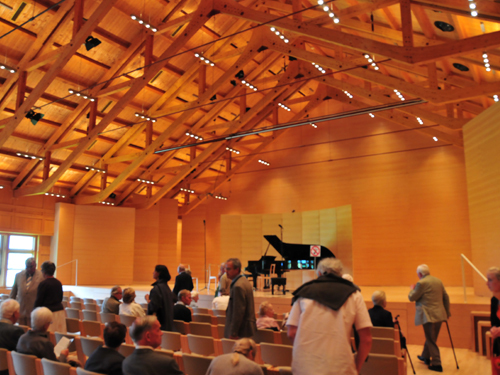 The Mecklenburg Festival, begun in 1990, is spread over the entire region, performing this season 120 concerts in 70 different venues, from concert halls to barns and churches and open air settings. The Festival has a significant component of young performers, the Young Elite, who mix in with established artists, creating a vibrant atmosphere not unlike that of the present day CMS. For our concerts, we readily agreed to collaborate with artists from the festival, including Austrian clarinetist Matthias Schorn, cellist Josephine Knight, violist Philip Dukes, percussionists Alexej Gerassimez and Simon Klavzar, and of course violinist Daniel Hope. The repertoire, however, was key, as we decided to bring significant and diverse American chamber music, as well as European classics. 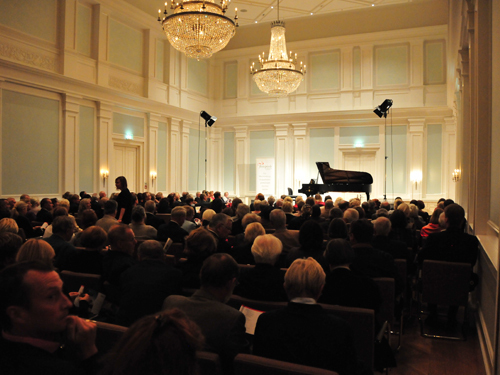 Our opening program was in the opulent salon and ballroom of the Grand Hotel Heiligendamm (all of the CMS concerts were completely sold out well in advance). We were graciously introduced by festival director Matthias von Hülsen and also by Daniel Hope, who drove in at breakneck speed in his Porsche from Berlin in order to hear the concert. 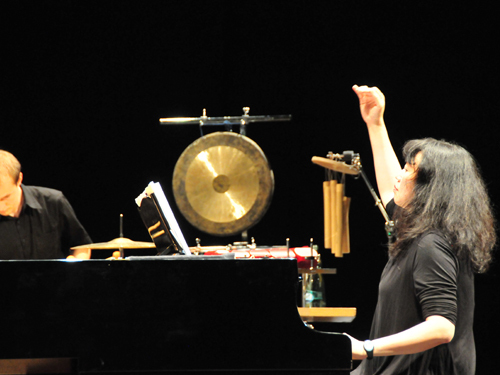 Anne-Marie McDermott and Wu Han opened with the charming Souvenirs by Samuel Barber for piano, four hands, followed by Gerswhin’s Rhapsody in Blue. After intermission, Arnaud Sussmann, Anne-Marie and I played the Brahms B major trio, luxuriating in the rapt attention of the German audience which sat contentedly through long performance, which included the first movement repeat (which none of us had ever heard or done before!). 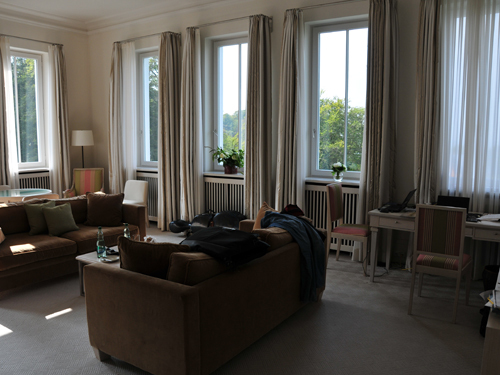 Performances at the festival were always followed by much merry-making and partying, including, in Heiligendamm, hors d’oeuvres in the magnificent suite provided for me and Wu Han. It was an unexpected pleasure to find at our concert a great friend of many years, Dr. Steven Paul, a scholar, radio personality and flutist who was for many years the Emerson Quartet’s Executive Producer at Deutsche Grammophon, and whose brilliant liner notes grace ArtistLed’s Franck and Strauss CD. For the second concert we traveled 2 hours by car to the state capital of Schwerin. 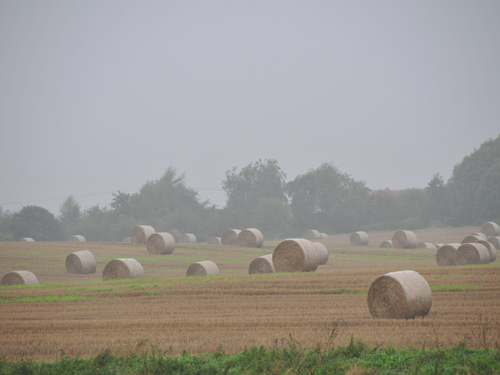 The countryside of the region is quietly picturesque, with seemingly endless fields populated by cows, bales of hay, and numerous power-generating windmills. 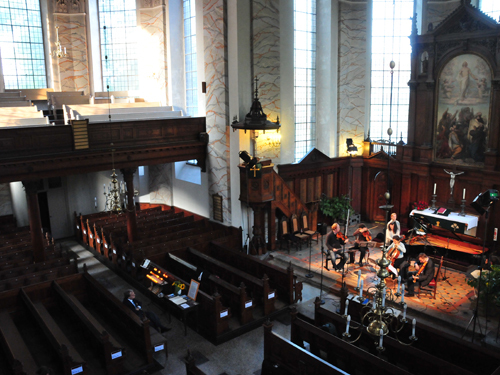 We performed in Schwerin’s beautiful Schelfkirche, once again for a packed house, and once again featuring an interesting array of American music. 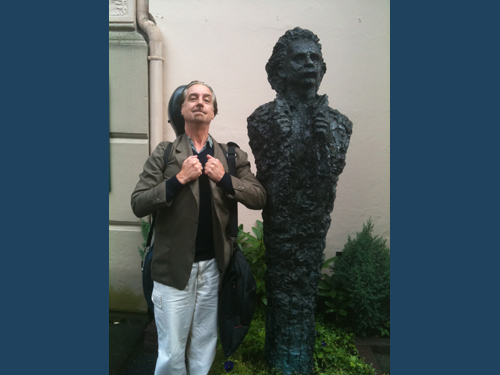 I began with the sublime Fancy on a Bach Air by John Corigliano for solo cello, followed by the wild, beautiful and wacky work by Gottschalk called The Union, bravely performed for the first time by Anne-Marie McDermott. The Gottschalk uses special effects to create the sound of drums, and includes renditions of the Star Spangled Banner, Yankee Doodle, and Hail Columbia. Mark O’Connor’s Jig for violin and followed, played by Arnaud and the marvelous British violist Philip Dukes, and Wu Han, Arnaud and I closed the first half with a performance of Pierre Jalbert’s Piano Trio, the first work of his we ever heard and have since programmed at CMS in New York and at Music@Menlo. 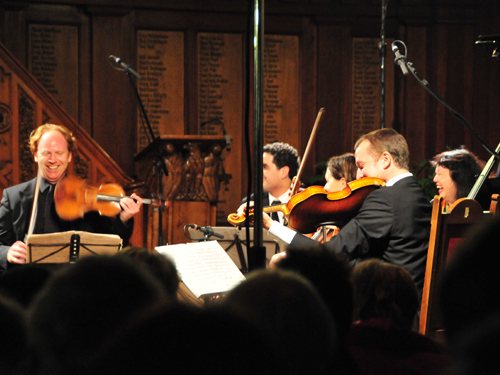 This concert closed with the Dvorak Piano Quintet, played by Daniel Hope, Arnaud, Philip Dukes, Josephine Knight and Wu Han. The crowd would not let them leave, and they had to repeat the Scherzo. After a gracious reception at the offices of the Festival (which are in Schwerin across from the church) we drove back to Heiligendamm to rest up for the next night’s performance, our final one, in the city of Stralsund, this location two hours to the north east and on the Baltic coast. 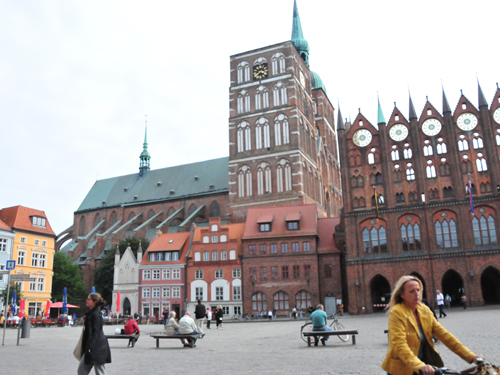 Stralsund is an ancient city which boasts, as many cities in the region do, Hanseatic architecture, which features gabled brick buildings. 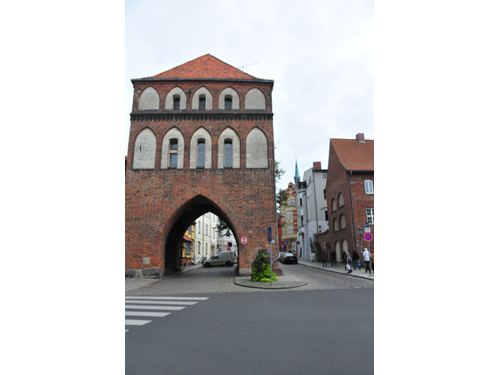 Some structures on the town square dated from the 13th century, among them the magnificent façade of the town hall, which is emblazoned with the coats-of-arms of the six historic Hanseatic cities. 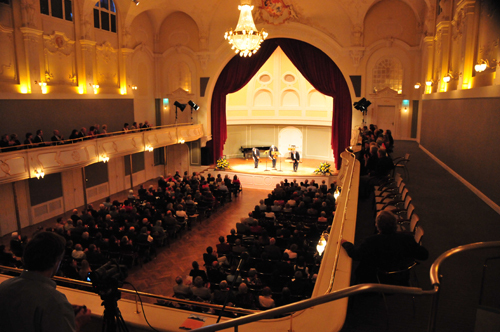 The concert took place in a large, formal concert hall steps from the town center, and once again was completely filled with eager audience, some of whom had traveled to hear all three of our concerts. 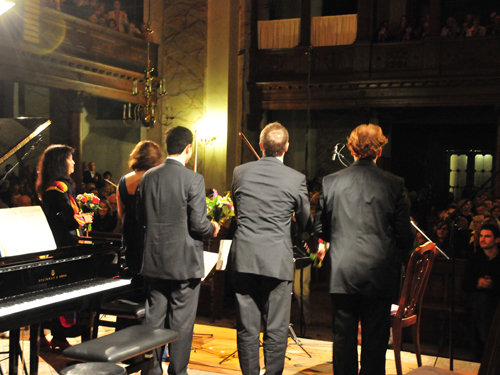 The program was once again challenging, beginning with Mozart’s Kegelstatt Trio for viola, clarinet and piano (with Philip Dukes, Matthias Schorn and Wu Han), and continuing with George Tsontakis’s Knickknacks for violin and viola (played by Arnaud and Philip, originally composed for and premiered by Ida Kavafian and Steven Tenenbom), and closing the first half, Paul Schoenfield’s hair-raising Trio for Clarinet, Violin and Piano, played with consummate virtuosity by Matthias, Arnaud and Anne-Marie. 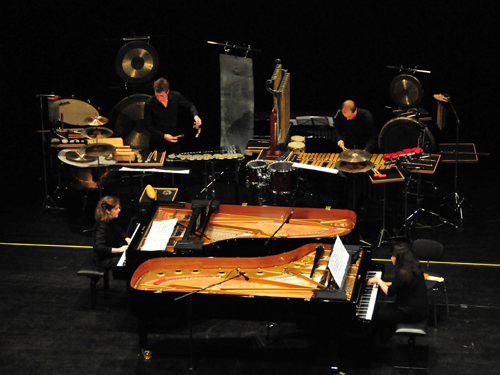 The intermission – as well as the bulk of the all-day rehearsal preceding the five p.m. concert, was given over to preparing the stage for George Crumb’s masterpiece Music for a Summer Evening, a work that has particularly captivated us ever since Wu Han and Gilbert Kalish (for whom it was composed) performed it for the CMS 2008-09 series Night Fantasies. Wu Han has since programmed the work for herself to play in Aspen, at Music@Menlo, during the coming season at CMS again (the Night Fantasies performance was hampered by a fire at the Society for Ethical Culture), and in Mecklenburg. The work is a natural for some special lighting, with fade-ins and outs at the beginning and end, and working out the timings with the crew is always a complicated challenge. 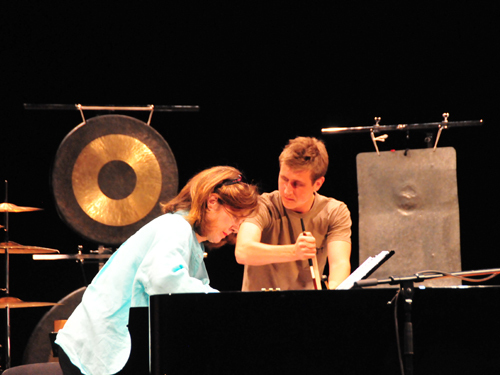 In the rehearsal, Wu Han, who possessed by far the most experience with the work, directed everyone with authority. The percussion instruments are numerous, and it takes a good two hours to lay them all out, not to mention learning how to play them in perfect coordination with the two pianists. Anne-Marie, the real trooper of the tour, also gave her first performance of this work, and was unfazed, learning how to negotiate all the tricks inside the prepared piano, play various percussion instruments, and performing the vocal effects required from the performers, which include sighing, groaning, whistling, mumbling and yelling various words which have no meaning but which carry visceral impact. As the lights went down, the audience, instead of quieting down as we wanted them to, started talking even louder. I could tell this was going to be a new experience for many of them. Finally, some started to shush the crowd (me among them and possibly the performers themselves, who had sneaked on stage in the dark). 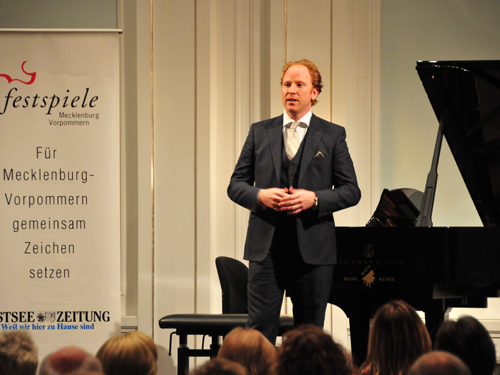 As in every performance of this work I’ve heard, however, the people really seemed mesmerized after a short time, and by the end were listening as reverently as if it were Schubert. A long ovation followed, of the German type – not hugely vocal, but steady and very persistent. I lost track of how many bows were required, and, toting flowers, the all the musicians of the day were recalled to the stage again and again, until the public finally gave up, and our Mecklenburg Festival residency was at an end. 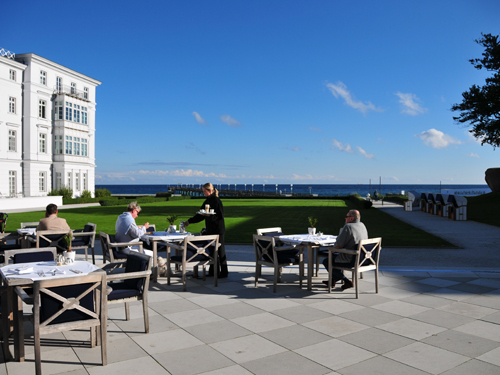 Returning to the Grand Hotel Heiligendamm, we were treated to a lavish dinner by the hotel’s owner, who had also journeyed to hear the concert. A very early departure for New York curtailed the evening’s revelry, but we were gratified by the apparent success of this partnership, and excited to be talking at length with Daniel and Matthias about future seasons. We could not have had more gracious and enthusiastic hosts, or a better festival to help cultivate CMS’s overseas activities. Our musicians were proud to share the music of America, and thoroughly enjoyed the collaborations and new friendships with the great players who were there. Although there were only four of us participating, this time, we sensed that CMS, as a whole, grew from the experience and that indeed a exciting and vital dimension of the organization’s artistic future lies beyond our shores. Reconvening after a month-long break, the Emerson Quartet met in New York for its annual appearance at the Mostly Mozart festival, and then headed out a week later for another end-of-summer European tour. The proliferation of festivals in Europe during this period offers musicians not only numerous performing opportunities, but beautiful weather, great food, and chances to play in unusual settings and venues. As I approach my 32nd season in the Emerson Quartet, it seems almost inconceivable that I should never have set foot in a country with as active a musical culture as Norway. But it was true: before this concert, the ESQ had never played a note in this beautiful place, the land of rain, Ibsen, the Nobel Peace Prize, Grieg, fish, and blond hair. 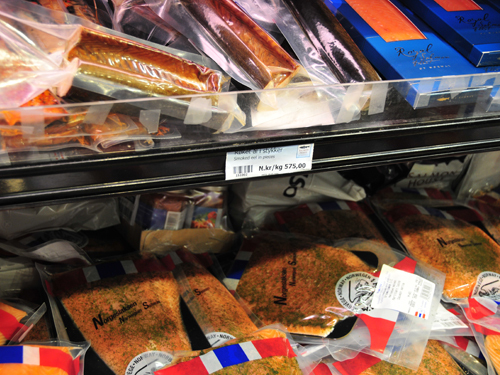 Oslo is the capital of Norway and was founded about a thousand years ago. It is now one of the most expensive cities in the world, although thankfully we didn’t feel it, as we were well taken care of. The amount of daylight varies greatly according to season, with only about 6 hours of sun in the dead of winter. The presence of rain, fog and cold was not unwelcome after the blistering heat of New York this summer, and the conditions, plus the architecture, added to the atmosphere of the place, which reminded us of Edinburgh. We were presented by the Oslo Chamber Music Festival, which takes place for ten days every summer and was in its 21st season. 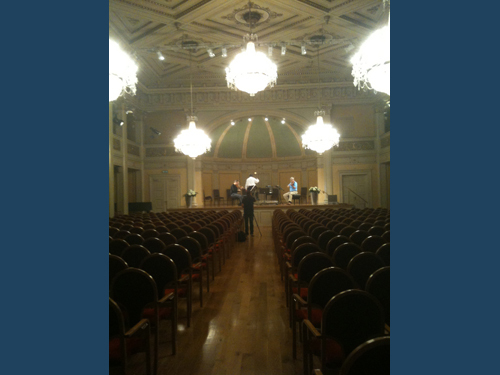 We appeared in a converted Masonic temple called the Gamle Logen, which is only one of the festival’s many venues. The acoustics were excellent and the crowd – which seemed to know us through our recordings – was as friendly and appreciative as any we have encountered. 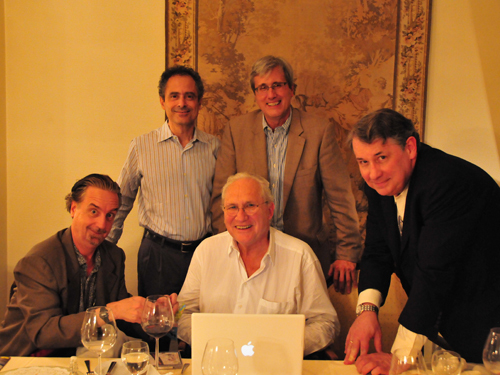 We made it, somehow, through our daunting new program for the tour: Haydn’s final quartet, Op. 103 (he only completed the middle two movements of a standard four-movement work), Berg’s early Op. 3 quartet and Webern’s hyper-romantic Langsamer Satz, and the enormous, semi-impossible Schubert G major. The festival’s founding director, the distinguished violinist Arve Tellefsen, was our gracious host at a delicious dinner afterwards, where he treated us to stories of his days in New York as a student of Ivan Galamian. It was wonderful to re-connect with this marvelous musician, with whom we had toured in the 80’s in an ensemble that included soprano Barbara Hendricks and cellist Frans Helmerson. 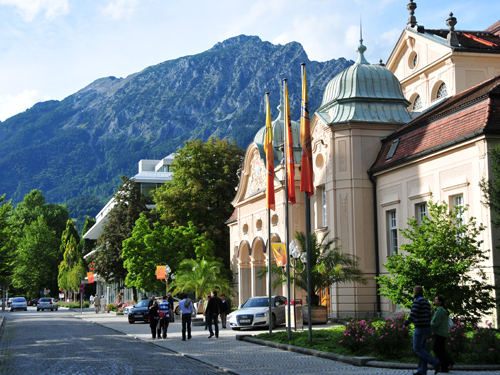 The little town of Bad Reichenhall sits in the lower east corner of Germany, only a few kilometers from the Austrian border and the musical hotspot of Salzburg. Founded roughly a thousand years ago, Bad Reichenhall (like Salzburg) has been a producer of salt since the middle ages, pumping the brine out of the earth from many meters below. The waters and fumes are said to be medicinal, and people travel from all over to soak and breathe and reap whatever benefits the waters may offer. 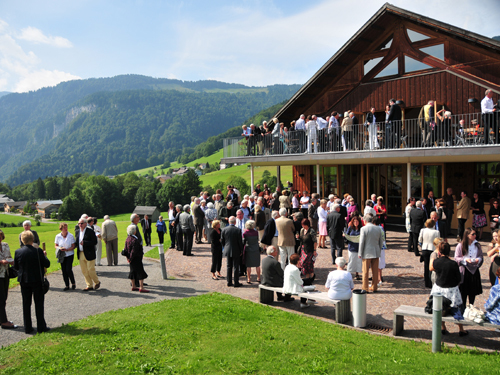 The reason we come to Bad Reichenhall however, way beyond any other, is due to the beckoning of one of classical music’s greatest advocates and organizers: Klaus Lauer, the former director of the Musiktage concert series at the Hotel Roemerbad in Badenweiler. The only place in the world where we have performed the complete Beethoven cycle on three separate occasions, Badenweiler became a home-away-from-home for us all, not only because of the hospitality and generosity of the Lauers, but because of the inspired programming that was all Klaus’s, and the commitment and passion of the audience that he built over many years. 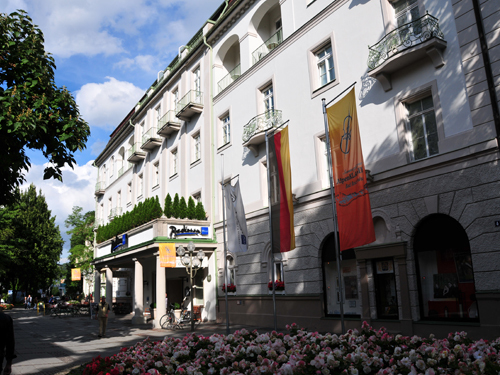 Since selling the hotel (it was in his family since the 19th century) Klaus has moved on to presenting series in other venues, and he was recently invited to curate the chamber music concerts at Bad Reichenhall’s AlpenKLASSIK festival. The concerts take place in the beautiful Kurhaus, only steps away from the luxurious hotel in which the musicians stay, the Radisson Blu Axelmannstein Resort. 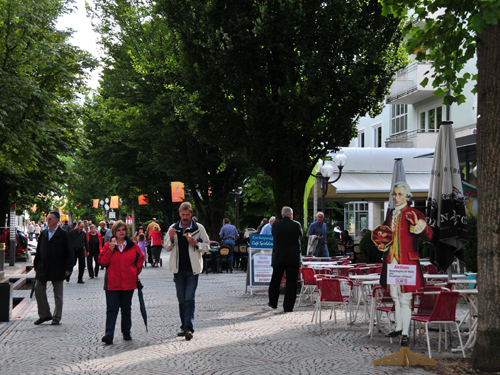 The main street is a charming pedestrian zone. 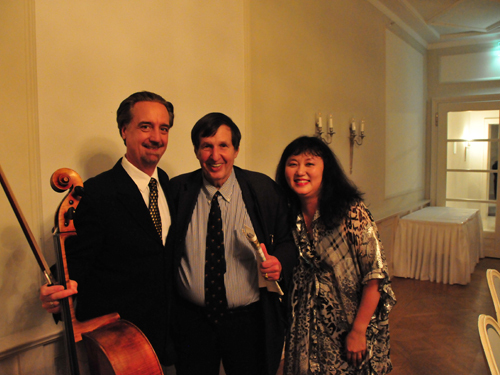 Our two programs included music by Dvorak, and for the second we were joined by cellist Roberta Cooper (wife of Gene Drucker), and Berlin Philharmonic violist Matthew Hunter for Schoenberg’s sextet Verklaerte Nacht. 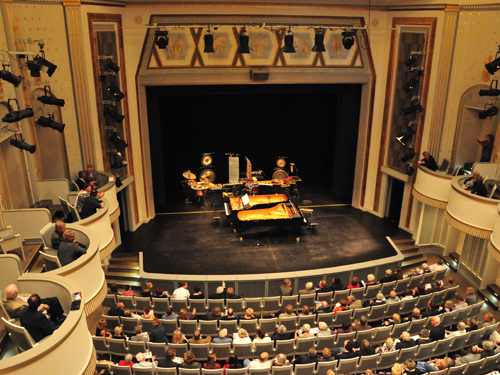 Our concerts were part of a dual festival Klaus designed for this season, which included pianist Pierre-Laurent Aimard’s “Carte Blanche” series, and a second part called Übergänge – letzte Romantik, which connected music of the Romantic era with music of 20th and 21st centuries. 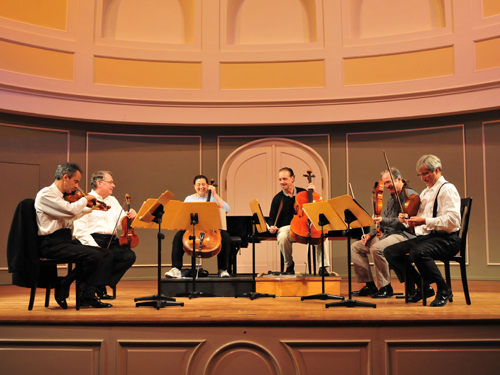 Also participating were the Pacifica Quartet (who played Carter), and the Kuss Quartet. Flying into Copenhagen, we rented cars and drove about one hour north to the city of Helsingør, on the coast. Helsingør (the ø is pronounced something like eu in French) was a major strategic location in Danish history, being positioned at one of the narrowest points of the strait (Øresund) between Denmark and Sweden. In the 15th century the Danish kings began extracting “sound dues” or tolls from passing ships, and required boats to lower their sails out of respect for the king, otherwise they could be fired upon. Around the same time the famous castle that would eventually be named Kronberg was built as a residence for the king and as a fortress that would control the strait and its traffic. 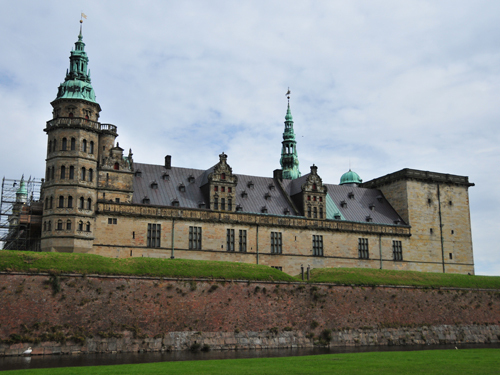 It is within this castle that Shakespeare set his play Hamlet, making the castle world-famous. 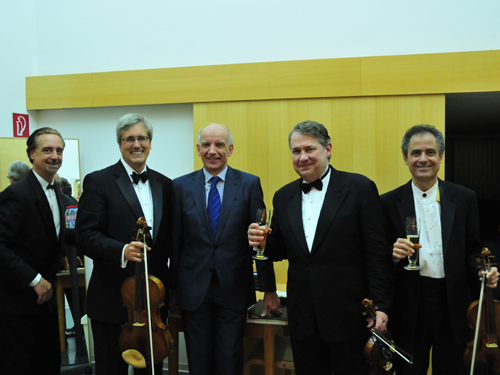 The quartet’s presenter was the concert series at the Louisiana Museum of Modern Art. The museum, situated on beautiful grounds right on the water, has an extensive collection of more than 3000 paintings, drawings and sculptures all created after 1945, by the leading artists of the time. The concert series is run single-handedly by Lars Fenger, who, through his own strong artistic opinions and presenting standards has created a unique and apparently very successful scenario. The Emerson Quartet considers itself fortunate to be to Lars’s liking and to be able to enjoy appearing in this extraordinary setting. The hospitality is second to none, and the audiences, which completely filled the hall for both concerts (same program), listened with intensity and responded with enthusiasm. 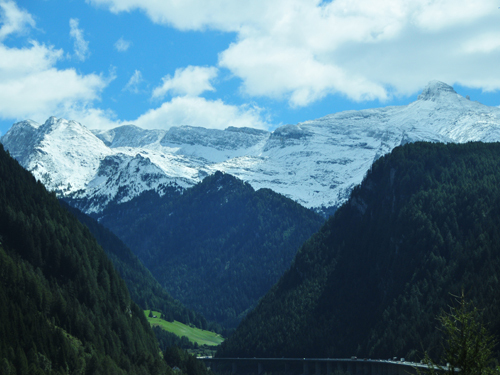 Our final stop on this wonderful tour was the distinguished Schubertiade festival, which takes place in the Austrian Alps in the quaint, enormously picturesque village of Schwarzenberg. 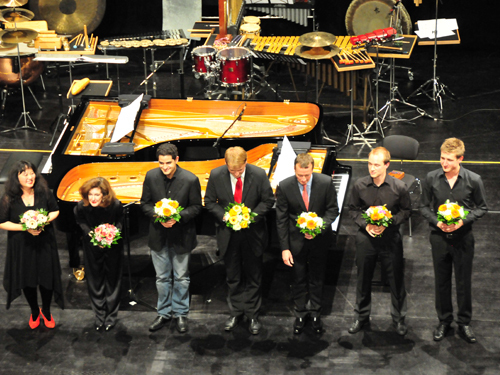 The festival was founded by the tenor Hermann Prey in 1976 (the same year the Emerson Quartet was born). 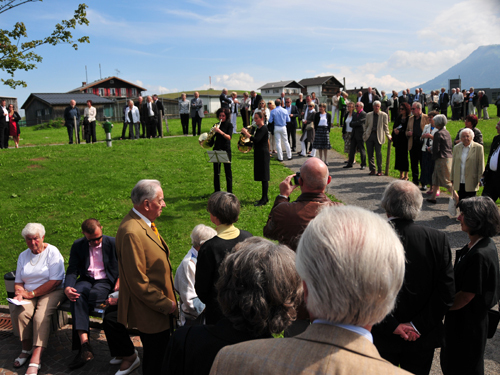 The Schubertiade festivals are attended by people religiously devoted to the music of Schubert, as were Schubert’s close friends in his own day (the term “Schubertiade” actually comes from Schubert’s time and was used to describe the famous gatherings of Schubert’s fans who enjoyed whole evenings of his music). The festival typically offers two to sometimes three concerts a day, and in between, the listeners (virtually all of whom travel in and jam the local hotels) sit outside enjoying good food or take easy walks in the surrounding fields and hillsides. The concert hall, the Angelika-Kauffmann-Saal, was built in 2001 and is state-of-the-art, minus anything superfluous or glitzy. Permanently-installed video cameras and microphones capture every performance, and the recordings – fully produced with cover photos, program notes etc. 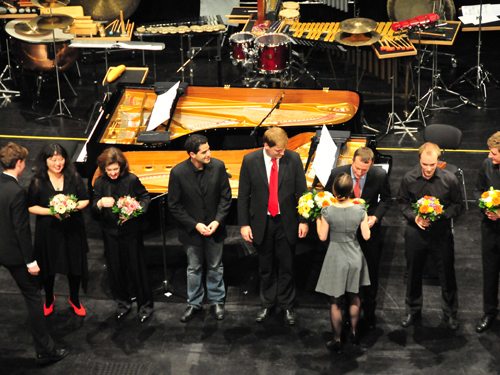 – are miraculously handed to the performers only minutes after the conclusion of the concert. This feature is due not only to the generosity of the festival (these recordings are not sold or broadcast) but also to the wizardry and dedication of engineer Joachim Schmid, who produces everything in real time during the performances, all by himself. The intermissions, especially in the late afternoon, are reason enough to want to attend. Can you imagine a more beautiful setting to enjoy between two halves of an all-Schubert concert? A horn duo, playing Schubert, announces the end of the intermission. As soon as they began, the surrounding crowd went totally silent, as though they were listening to Die Winterreise. Such is the reverence for Schubert and for classical music in general here. 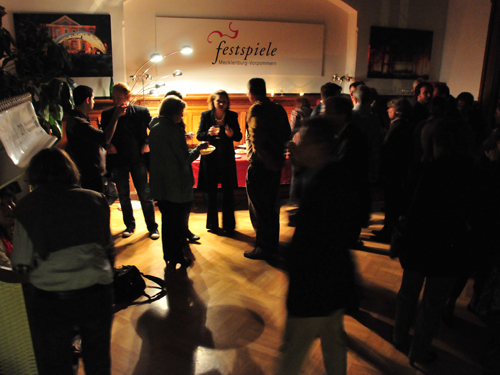 This phenomenally successful festival is solely directed, since 1980, by Gerd Nachbauer, who attends every concert, hosts a meal after each as well, and is always there for his audience, staff and performers. I truly wonder when and if he ever sleeps. 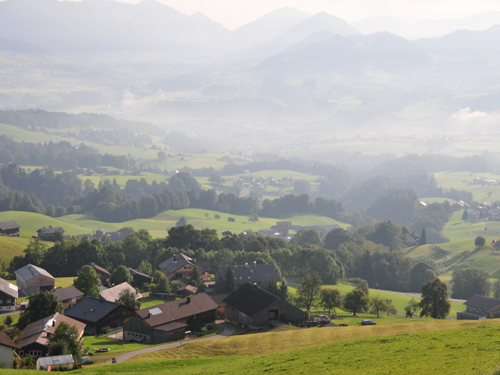 With venues in Schwarzenberg and nearby Hohenems, the Schubertiade presents 70 concerts per year for 30,000 listeners. The festival runs like clockwork: every detail is in place, the cracker-jack staff performs infallibly, nothing ever seems to go wrong. As a presenter, I cannot help but notice and admire, and as a performer, I am truly grateful and able to give my best on stage.